Celluloid Junkie is proud to have partnered with Vista Cinema for the Cinema of the Month series. Vista is the world’s leading cinema management software solutions company. We won’t just be featuring cinemas whose operators use Vista, but we will surely mention when that is the case. We would like to thank everyone at Vista for partnering with CJ to showcase some of the most interesting, innovative and inspiring cinemas from around the world. 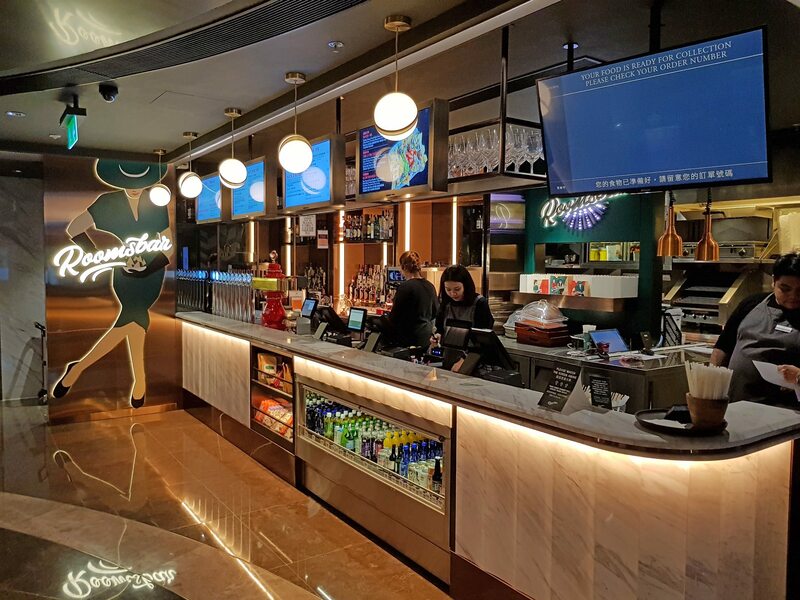 While cinemas have been mushrooming and box office has been steadily growing in Mainland China, the reverse has been the case for the Hong Kong SAR (‘Special Administrative Region’). For the second consecutive year, 2017 saw the region’s box office decline and the number of cinemas in Hong Kong fall. Some of those existing movie theatres which don’t shutter have instead been losing screens. 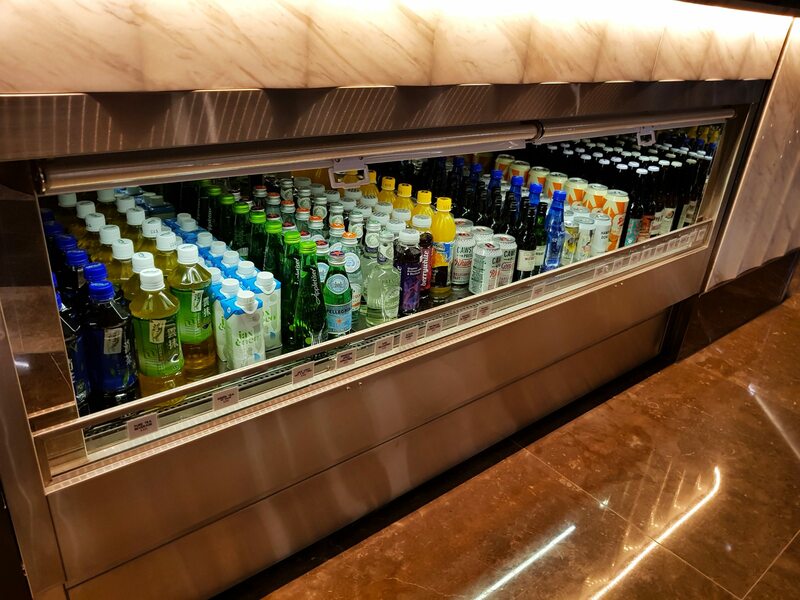 The local government has gone so far as to mandate the inclusion of cinemas as part of any new building projects, but the latest new cinemas to open by Lotte in Shau Kei Wan, Cinema City JP and Palace apm in Millennium City have typically been modest affairs. This has been a severe psychological blow for the former city-state colony that prided itself on being the Hollywood of Asia; the home of the Shaw Brothers, which popularised kung-fu, the city of Bruce Lee, John Woo and Wong Kar Wai, a city that had hundred of cinema screens. Yet the major film talent has been lured away since the handover to Hollywood and China while ever-increasing rents made cinemas an unprofitable use of valuable retail space. Against this backdrop the opening of the Emperor Cinemas in 2017 was a welcome return of movie theatres to Hong Kong’s Central district. 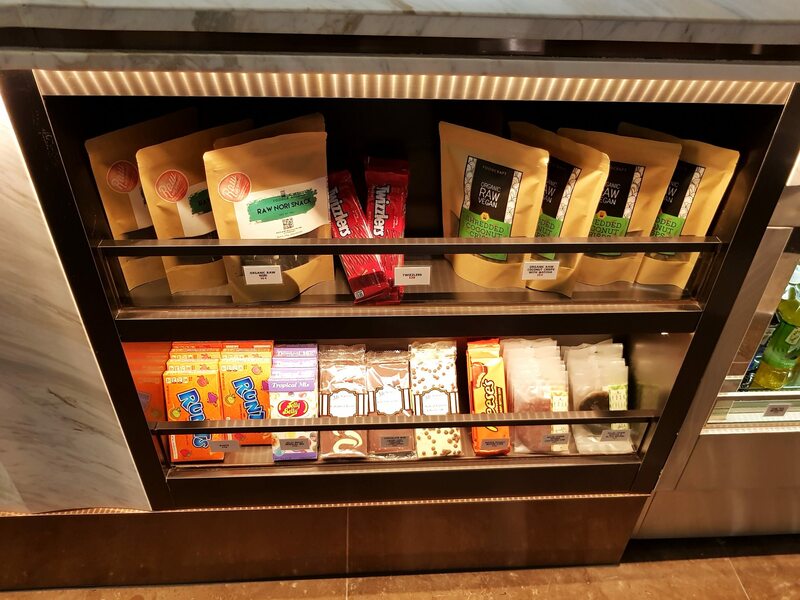 This luxury cinema may not accommodate the city’s masses, but it shows that rather than being replaced by a Chanel store, cinemas can provide the same level of luxury as a fancy high-end retailer, but at a more affordable price. 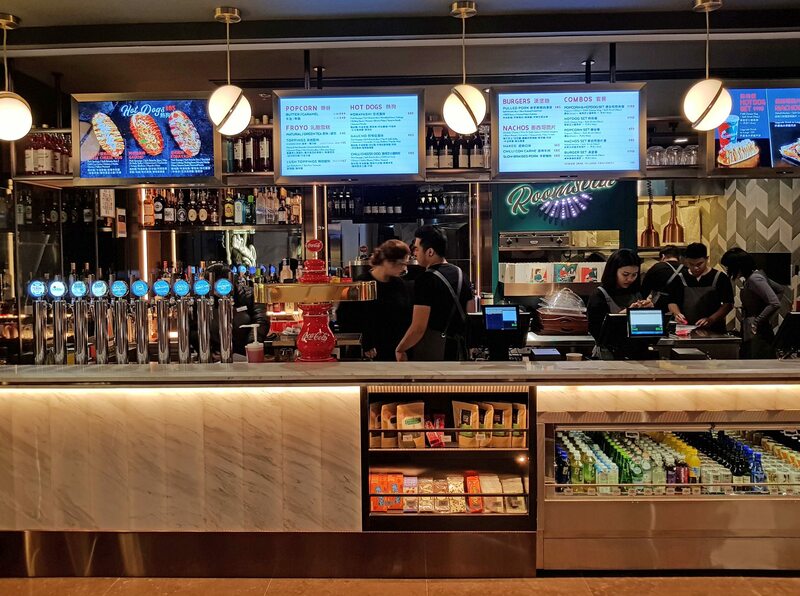 The cinema is located in the 16,000 square feet (149 square metres) space of what used to be HMV Retail’s flagship DVD store on the fourth floor of the Entertainment Building on Queen’s Road Central and is estimated to be paying HK$1.2 million (USD $150,000) per month in rent. 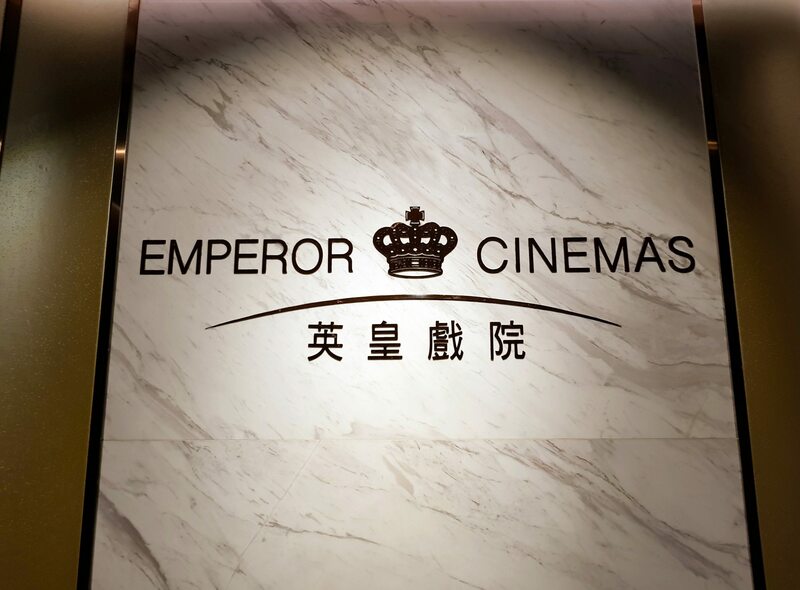 Emperor Cinemas is no ordinary cinema chain, but the subsidiary of Emperor Motion Pictures, which is part of the Emperor Group, set up in 2000 “with a focus on the production, sales and distribution of quality motion pictures.” It has produced films such as Jackie Chan’s “CZ12” (2012), Jiang Wen’s “Gone With The Bullets” (2015) and distributed films such as “The Hunger Games” and “Now You See Me” franchises. As well as its own cinemas it operates a joint venture with UA Cinemas, called Emperor-UA Cinemas. Emperor Cinemas are state-of-the-art cinemas offering the highest quality cinema experience for audiences. 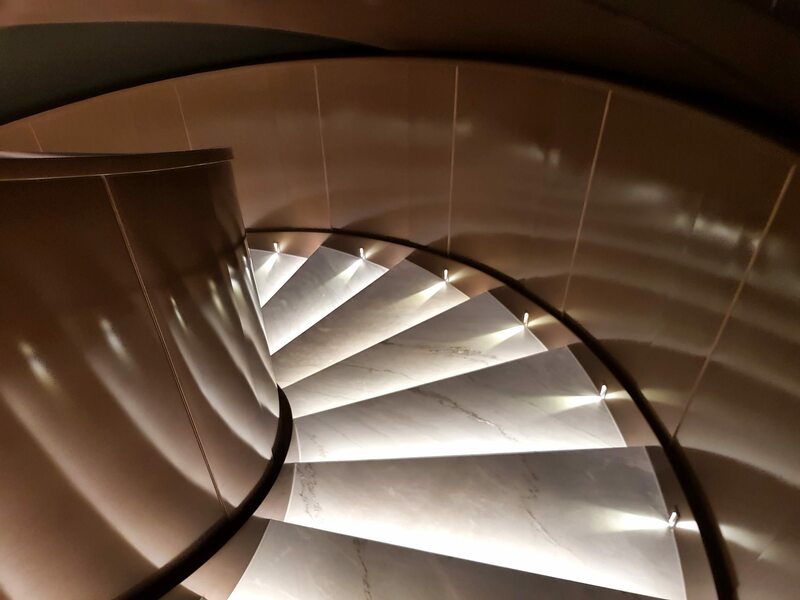 From cinema design to audience service, Emperor Cinemas provides an unparalleled and luxurious visual, audio and sensory experience. 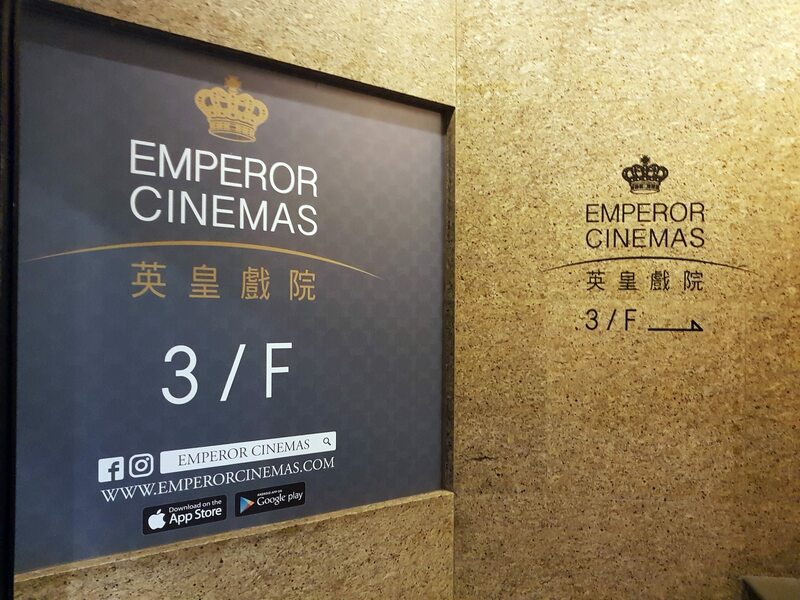 There are five Emperor-UA cinemas in Guangdong and Shanghai and the first Emperor Cinemas opened in 2015 in Hefei, Anhui in China. 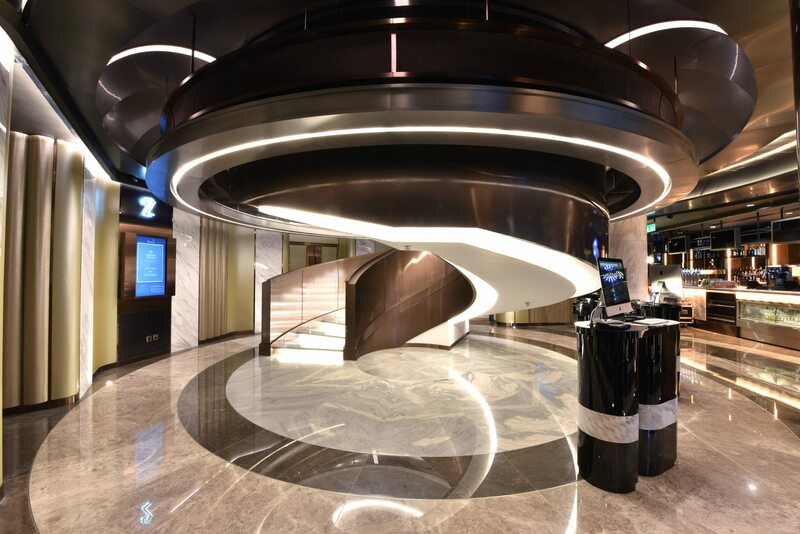 The 13-screne cinema offered both Imax, 4DX, D-Box, Dolby Atmos and VIP screens and lounges. 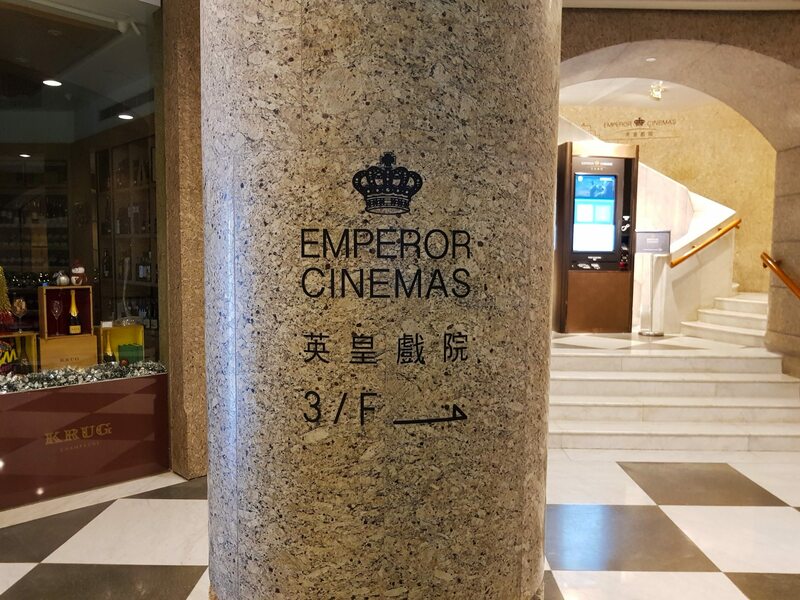 Hong Kong could never accommodate something that big and grand, particularly in the Central district, but could Emperor craft a small cinema as exquisite as its sister company’s timepieces and jewelry? CineAsia was the perfect occasion to find out. Hong Kong island’s Central district is the business and retail heart of city. 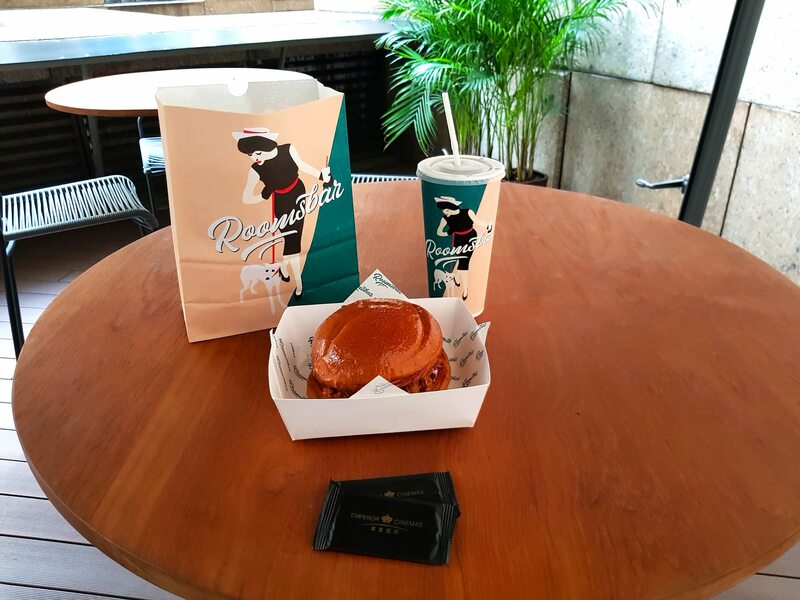 This is where you find skyscrapers, swanky malls and luxury hotels. Remember the tall building Batman swooped down from in “The Dark Knight”? That’s Two International Finance Centre (2 IFC) located in Central. From it cross Connaught Road, past Tiffany and Dior on your left and Abercrombie & Fitch and Gap on your right and you will find Queen’s Street where shoppers from the Mainland swarm to some of the swankiest Adidas, Zara and Calvin Klein stores you have ever seen. You wouldn’t expect a cinema here and you might not immediately spot the Emperor Cinemas sign above the entrance on the corner of the Entertainment Building. But once you are inside there is no mistaking the many gold-and-black-on-marble signs that steer you up to the third floor. 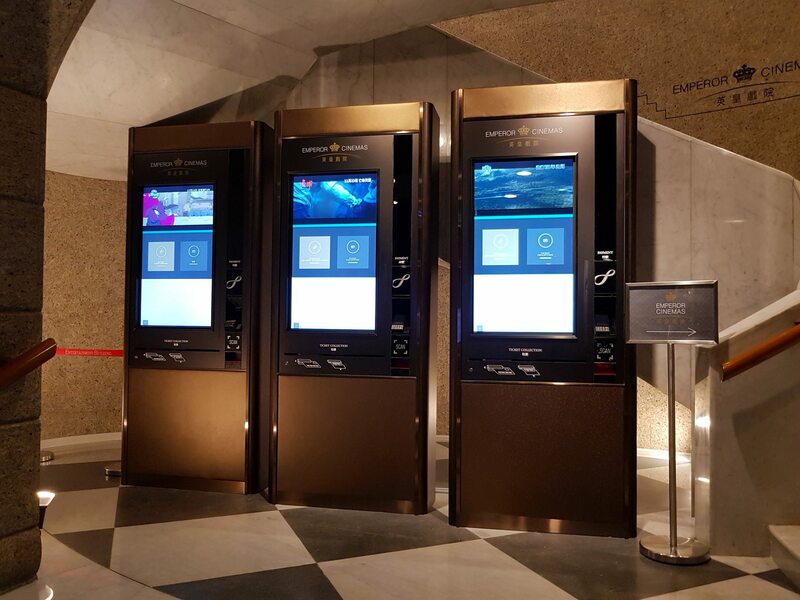 Three ATM machines greet you already on the second floor, like robot sentinels armourplated in gold. 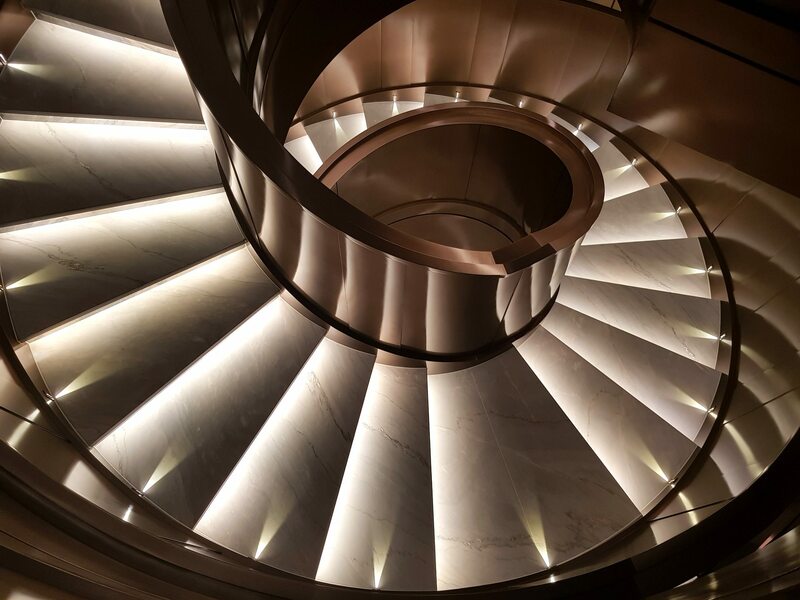 As you enter the lobby of the cinema the first thing you notice is not the box-office stations, the stylish bar to the right or the recesses that lead to each auditorium but the grand staircase spiralling to the upper floor in a mix of metal, light and marble. It is like the the bottom of a frozen tornado straight out of Architectural Digest. Marble is the dominant design feature everywhere, except in the auditoriums. At no time does it feel excessive or gaudy, but simply appropriate. This is because it is balanced by matt brass, strategic wood fixtures, subtle high-tech touches and lighting that could not have been better directed if cinematographer Christopher Doyle had been placing it himself. The staircase sweeps you up to the top floor, which is where you find The Coronet; the VIP screen. Maybe we should make that VVIP, compared to the five ‘regular’ screens, which between them seat only 219 people total. 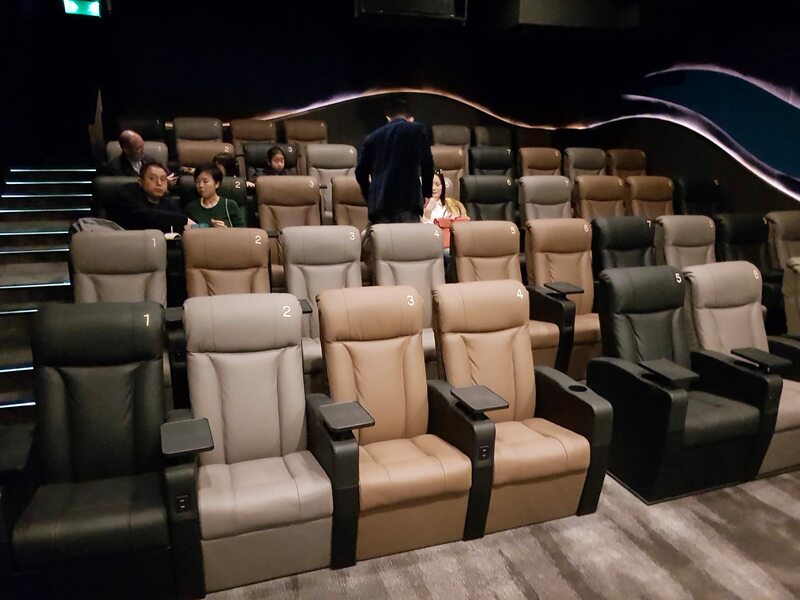 The entire cinema is believed to have cost HK$70 million (USD $8.95 million) but it was money well spent. 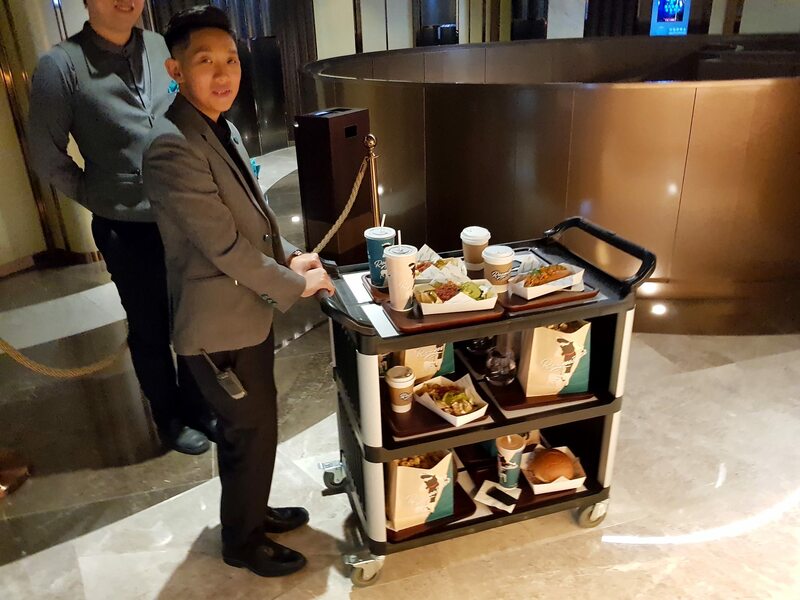 There is definitely a modern Gatsby vibe but with touches of the kind of sophisticated luxury that Chinese cinemas have embraced. 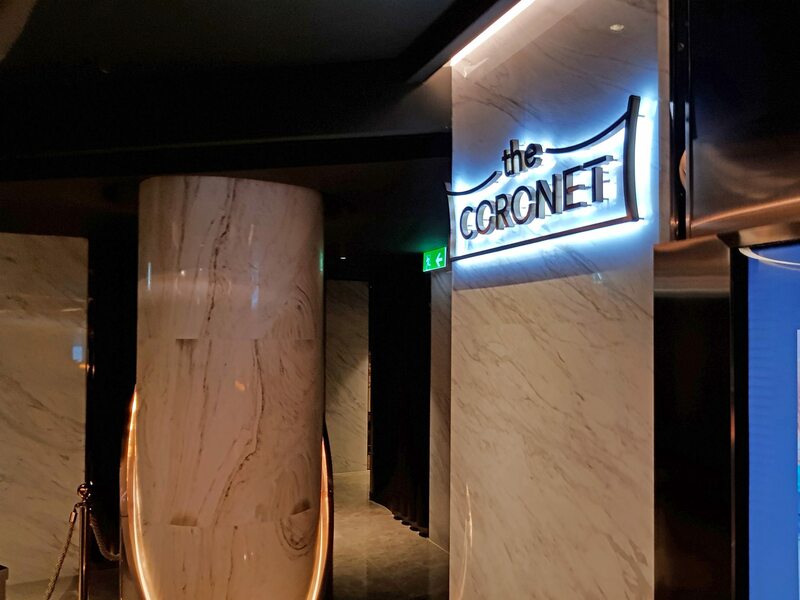 It is not surprising that The Coronet is frequently rented out for private screenings, parties, eSports and corporate events. It’s what help pays the high rent. I get chatting to one of the members of the staff, all dressed in grey and black uniforms. He happily shares details about the cinema, shows me around and is relaxed about me taking a photo or two (which is never a given). Sadly a screening is already underway in The Coronet, so I only get a peek at the 12-seater when the food cart arrives, laden with popcorn, drinks, nachos and hot dogs. 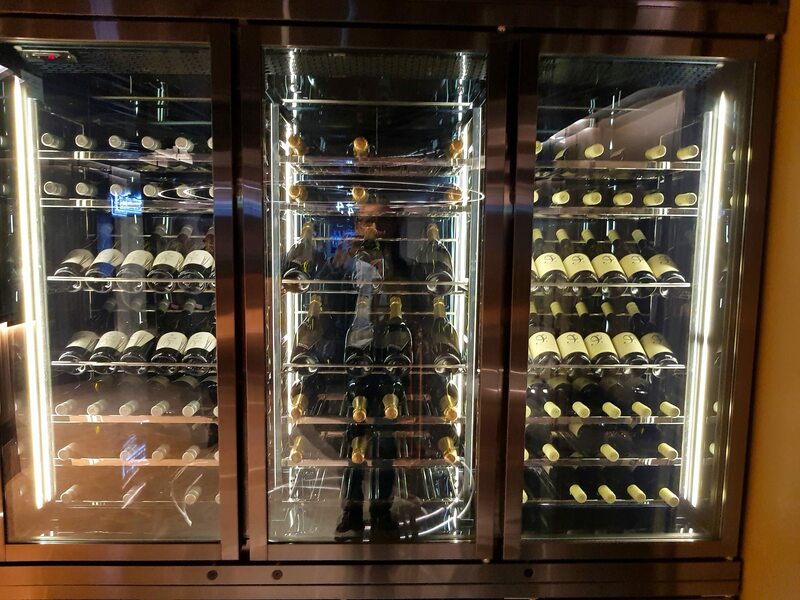 It seems nobody has ordered anything from the wine collection, which can’t be for the lack of choice and variety. 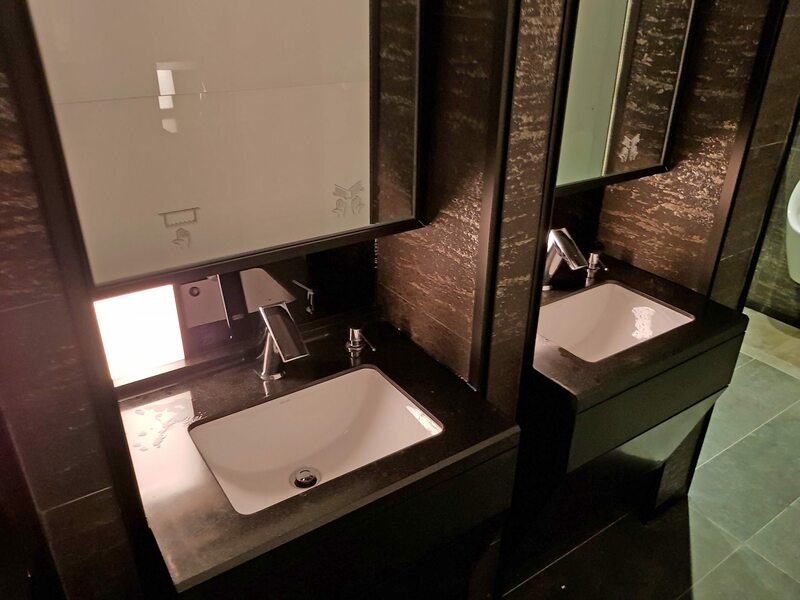 The toilets, meanwhile, seem just as VIP as the bar. Back downstairs I am glad that I have given myself ample time before my film begins to explore the F&B offerings in the cinemas Roomsbar, including the bar section which would not look out of place in one of the clubs along Queen Street. 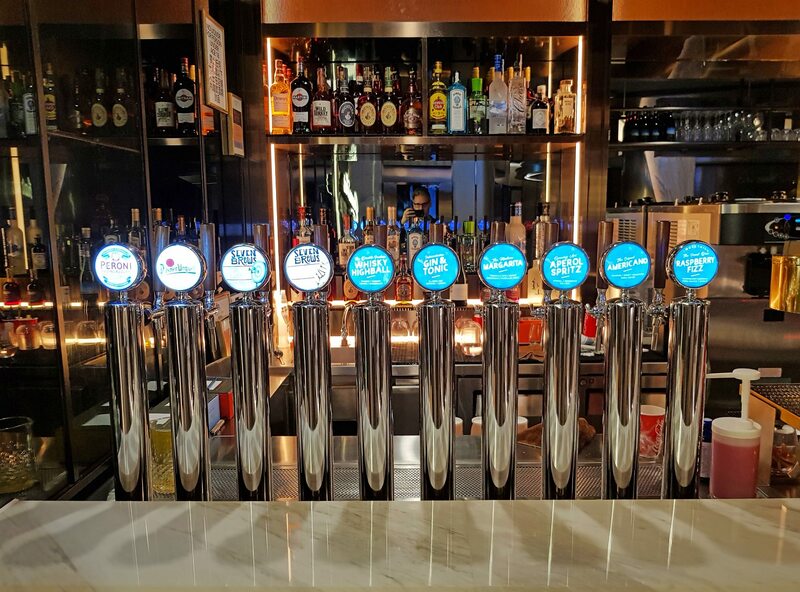 On tap is not just Peroni and Pilsner Urquell beers and Seven Brews IPA, but also Gin & Tonic, Margarita, Aperol Spritz and other cocktails – on tap! 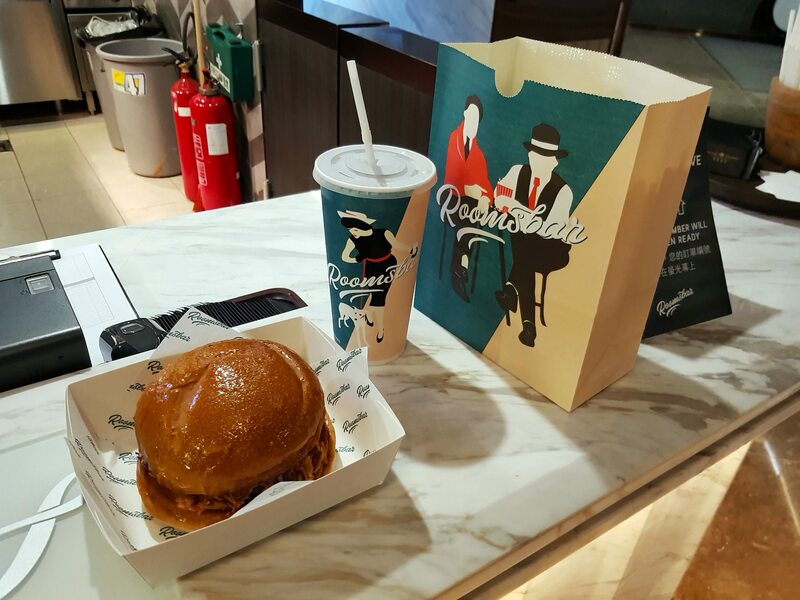 I decide to settle on a regular Coke Zero, popcorn (HK$49/USD $6.27) and the tempting looking Pulled Pork Burger (HK$85/USD $10.87 – or HK$110/USD $14 as a drinks combo). All of the packaging have the same stylish graphics design and green-dominated colour scheme that sets it slightly apart from the rest of the cinema but also gives it its own stylish identity. 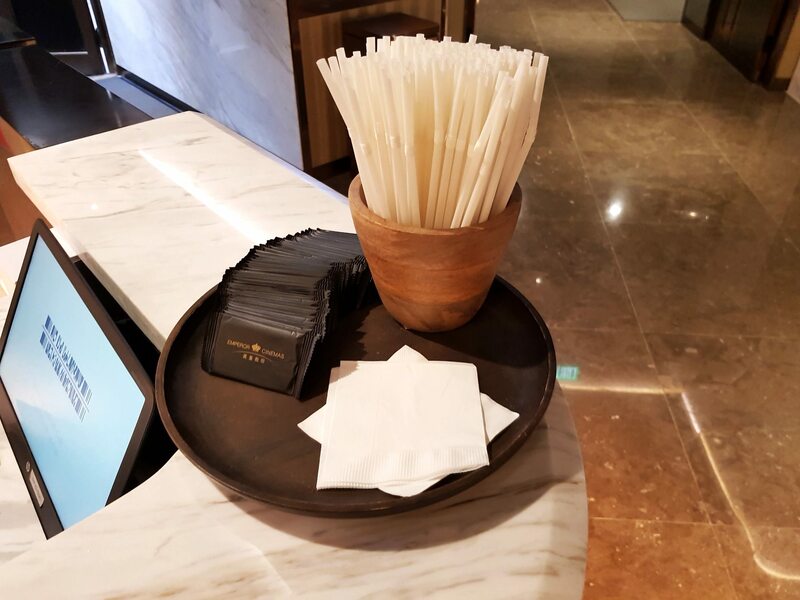 The order flashes up on the screen when it is ready and the staff are polite and friendly in a natural way. 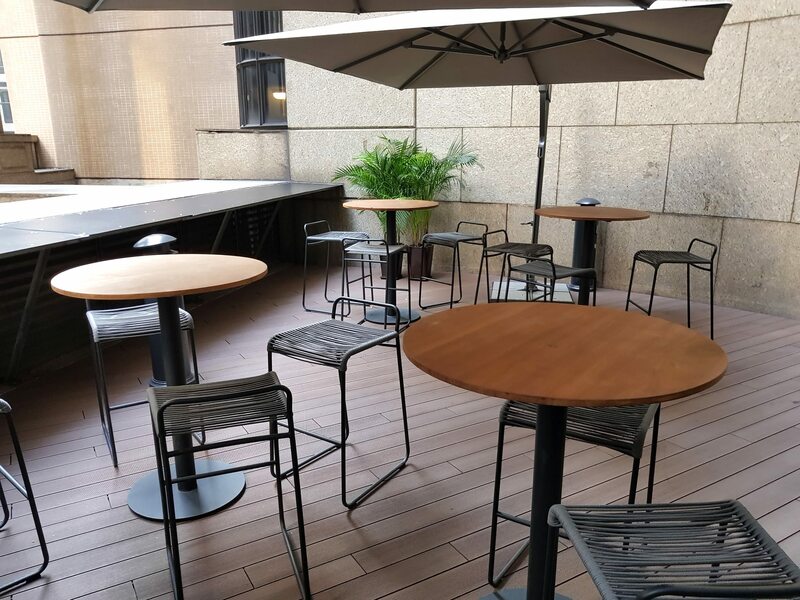 Having picked up the order I discover the outdoor terrace, a rare luxury in Hong Kong. There is spacious seating and while empty during the day when I visited it must be a great place to hang out with a drink before or after the films. 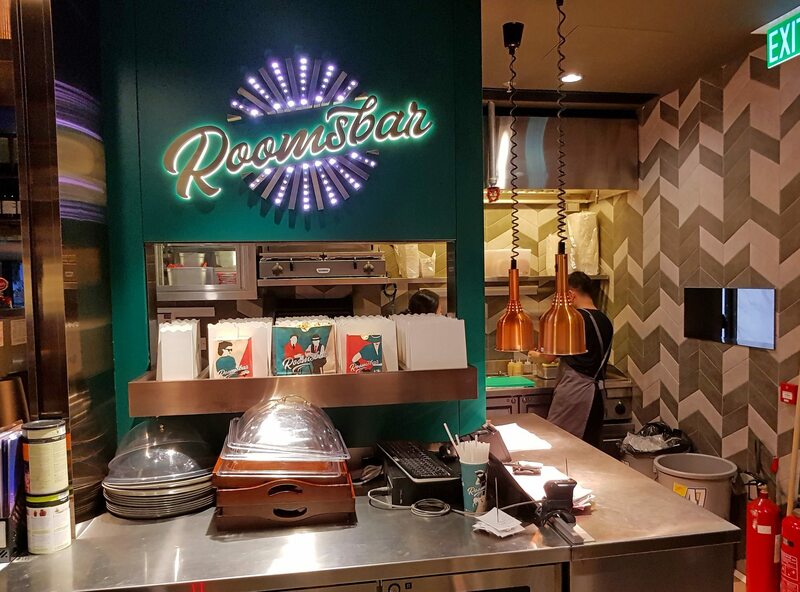 “I want to provide not only a cinematic experience, but also a place for people to hang out and chill, just like a bar,” Alexander Yeung Ching-loong, corporate executive of the Emperor Group, had been quoted as saying in an interview, and this has definitely been achieved. 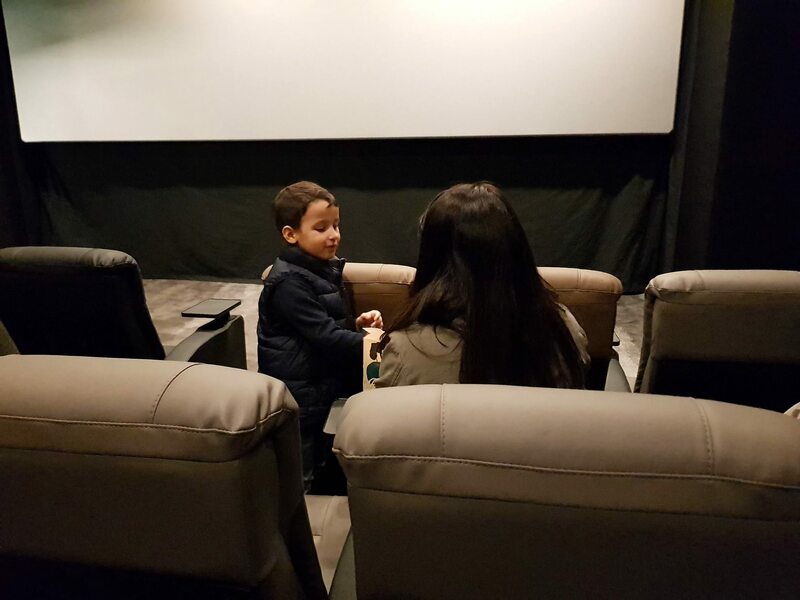 The auditoriums are understated comfort with comfortable leather sofas (recliners in the VIP room) featuring USB charging. Paperless tickets means that you get your QR conde scanned from your smartphone to enter. 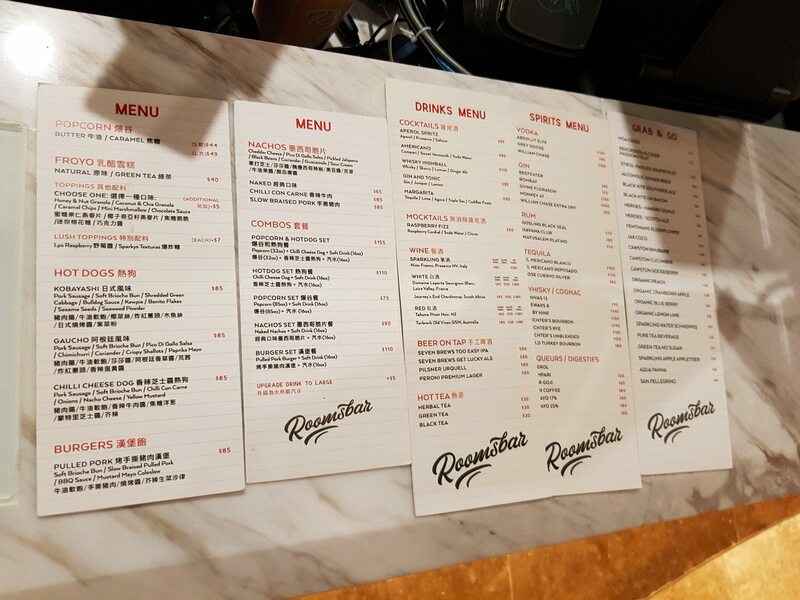 Prices are not outrageous: HK$115 (USD $14.71) for adults and HK$95 (USD $12.15) for children, students and pensioners, the same as at the nearby Palace IFC, the only cinema in Central district. There is free Wifi with registration. As I leave the cinema I can’t help but to sneak up again to the top floor, just to try the lift to take me down. I realise that The Coronet screen pays tribute to the cinema that used to be here. Opened as the Bijou Scenic Theatre in 1910 it ran until 1917, then renamed the Coronet Theatre in 1918. The site was taken over by King’s Theater in 1931 until it closed in 1990. It is only fitting that an Emperor has taken over from a King. 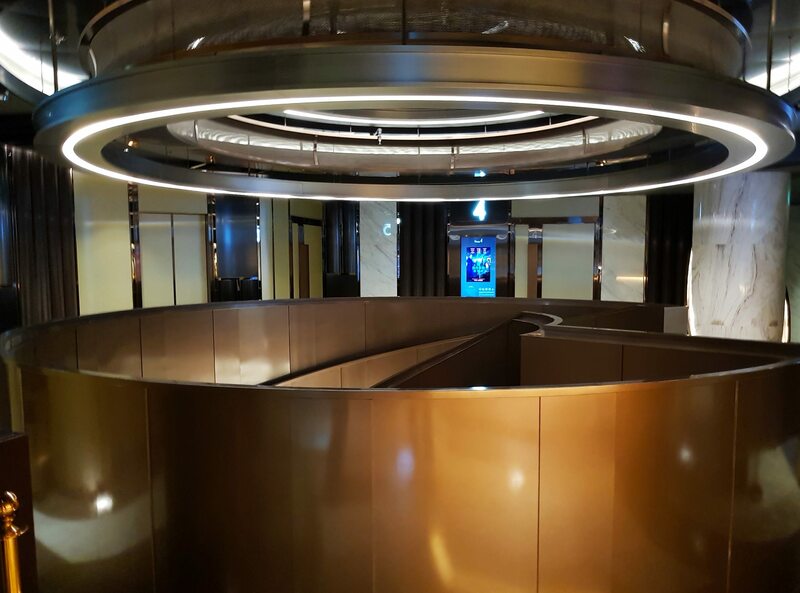 Emperor Cinemas is not the only luxury cinema in Hong Kong (there is the Oval Office in the AMC Pacific Place, BEA Festival Suite in Festival Grand, The Metroplex and even the nearby Palace IFC), nor will it alone reverse the decline of cinemas in the Chinese city. But it is a testament that the city and its companies still have faith in cinema and feel that it deserves to be a quality experience. 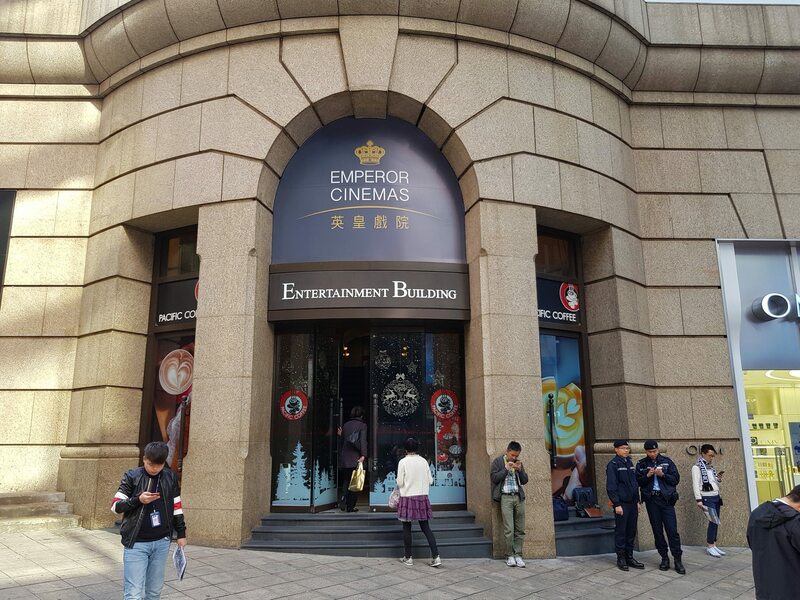 Emperor Cinemas last week signed an agreement with China Gezhouba Real Estate to bring its luxury cinemas to cities all across Mainland China, marking yet the latest successful Hong Kong cinema export to Greater China. Having visited their crown jewel, one can only wish that Emperor Cinemas would bring their affordable luxury cinema to Europe, North America and beyond as well. Celluloid Junkie selects the CJ Cinema of the Month based on our own independent survey. We always pay for our own tickets, pulled pork burger, popcorn and Coke, and visit the cinema in a ‘mystery patron’ capacity in most cases. Whenever possible we take our own photographs of a cinema in lieu of corporate stock photos. Thus, sometimes you get authenticity at the expense of focus. 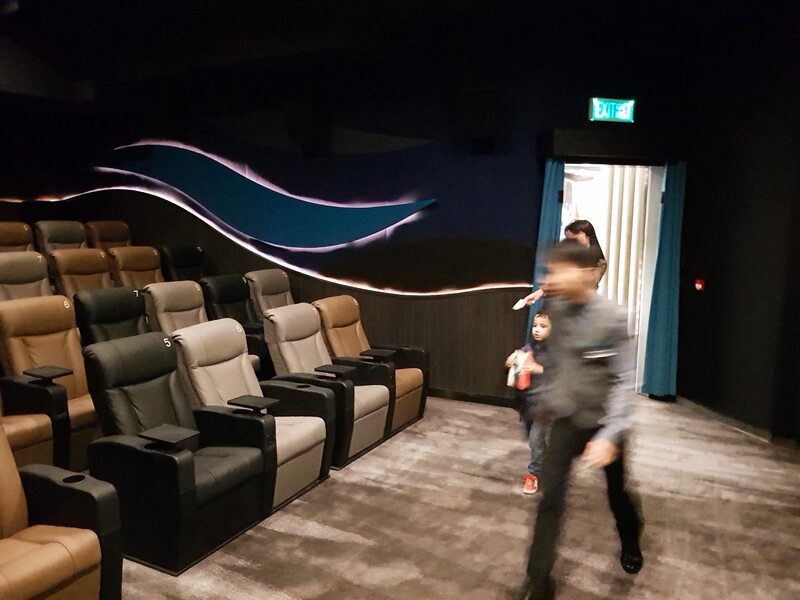 Our impressions may be subjective, but we always try to be fair and factually accurate in everything being presented about one of the cinemas we have chosen.